Rich people are selfish and greedy. At least, that’s what a lot of people think. They assume the rich don’t care about anyone but themselves (or their immediate friends and family). Now, it may be true in some cases, but lots of rich people do care. I’m rich, and I care. I have lots of rich, caring friends. Rich people use their money to help others and improve the world in all kinds of ways. A lot of rich people (like me, for instance) got rich by helping people (more on that later), and they aren’t going to stop there. Spiderman’s wise Uncle Ben said, “With great power comes great responsibility,” and I couldn’t agree more. In this world, the more money you have, the more powerful you are. But power doesn’t have to mean the power to control. Instead, think of it as the power to do more and help more. If you have a passionate desire to make the world better, the best way to do it is to get rich. And if you’ve been struggling to reach the success you want, this belief might be holding you back. We all have the desire to help other people— we’re social animals, hard-wired to care about each other. We feel good when we can help. We have compassion for one another. We can understand each other’s struggles and needs. This drive to care might sometimes get buried under fear and stress, but deep down, it’s still inside us. Now, the desire to help and the ability to help are two different things. Some people have a higher capacity to give and help others. We call them the rich. They have the power, means, and influence to help in whatever way they choose. 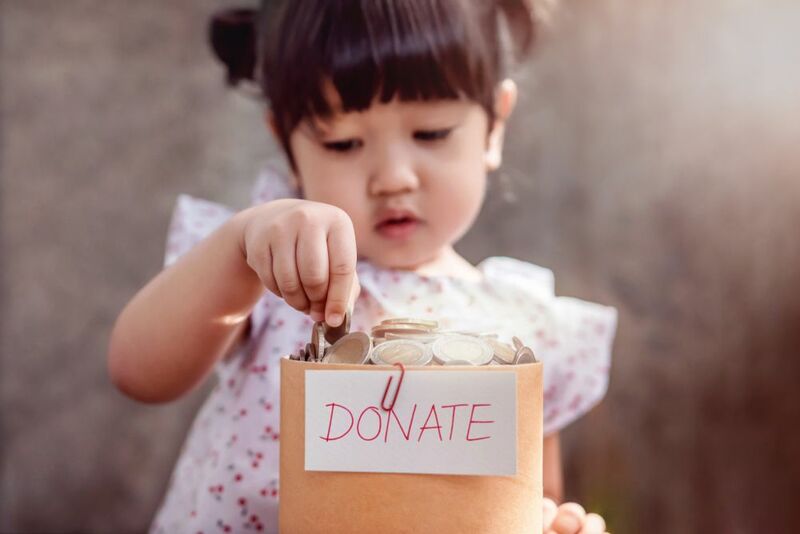 The most obvious way you can help when you’re rich is by donating money to a charity or cause. Celebrity philanthropists have donated millions to charities. Others have raised money through their own organizations. Andrew Carnegie, the richest man of his time, retired from business at age 66. He became a full-time philanthropist, putting his fortune to work for society. Bill and Melinda Gates, two of today’s richest people, created their own foundation to help people all over the world. Wealthy people have the ability to help those in need and gather more support for the causes they care about. Social entrepreneurship means doing business for a social cause. Success is defined not just by profit, but by impact– how much the company benefits the world. For example, let’s look at TOMS’® famous One for One® business model. It lets them give a product to someone in need every time they make a sale. They started with shoes, and the concept proved so successful, they were able to expand to eyeglasses. And now they sell coffee too! Now, you might be wondering, if the rich have money to spare, why not just give a pair of shoes to the poor without making a customer buy one first? Well, the answer is simple. They need to keep making money to have the resources to help people. Plus, they get to use their influence to raise awareness and bring others together to tackle important issues. And, TOMS® founder, Blake Mycoskie, has not only used his company to help those in need. He’s also used his influence to start a foundation that supports other social entrepreneurs. 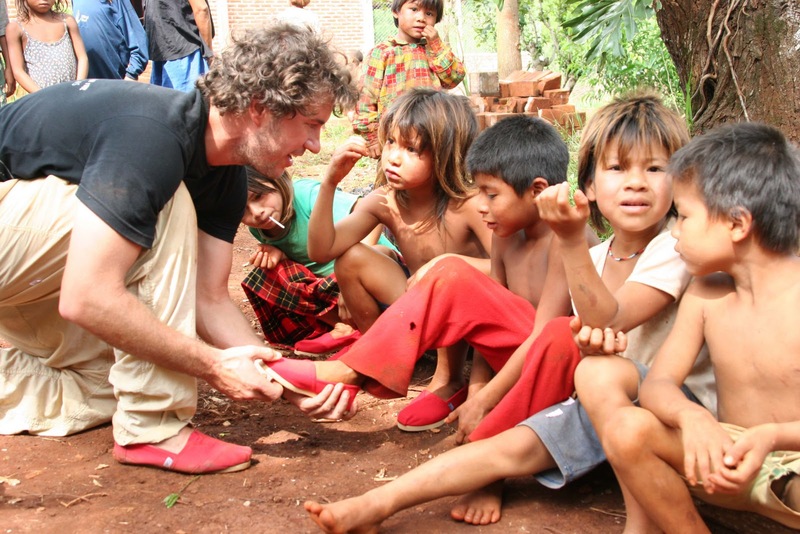 TOMS® founder, Blake Mycoskie, has not only used his company to help those in need. He’s also used his influence to start a foundation that supports other social entrepreneurs. When you’re rich, you can start new business ventures more easily and you can hire people to help you. It might not sound like much at first, but you give the people you hire a livelihood, provide professional experience, and boost their careers. You can offer them valuable mentoring, and change their lives just by introducing them to other people. 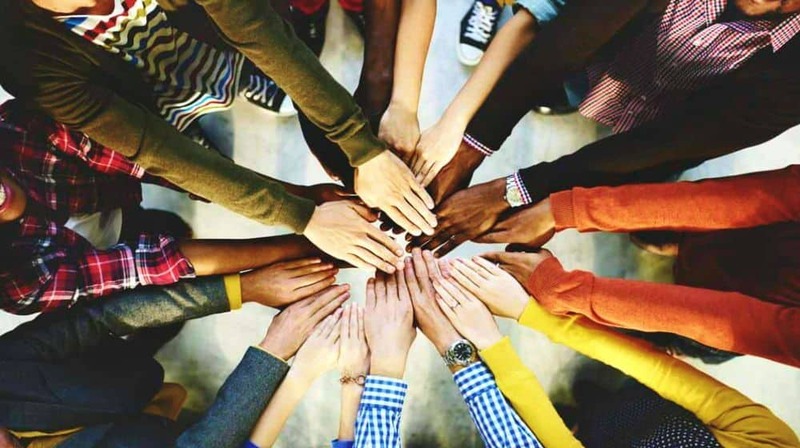 These days, online businesses get a lot of attention, but if you want to make a big impact in your own community, you should also think about starting a local business. This creates jobs, boosts the economy, and supports the people around you in ways you can see every day. If you want to make a big impact in your own community, you should also think about starting a local business. We have a lot of problems in the world today, from health issues like cancer and autism to technical issues like how to run the world with clean energy. Brilliant researchers, activists, and entrepreneurs work on these challenges every day. And funding is one of their biggest concerns. They have to eat and pay bills like everyone else, AND they have to pay for the cost of their projects. That takes a lot of money. If you’re someone with funds to spare, you can play a key role in solving the great problems of the world by making sure the scientists can afford to keep working. 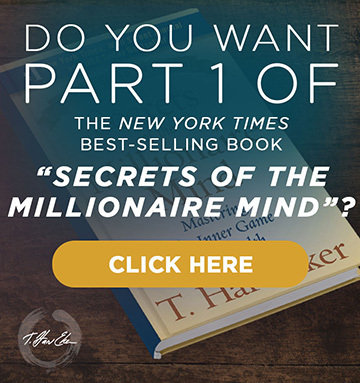 Rich people have something almost everyone wants– money! But they have something else that can help people just as much– their stories, experiences, and ideas. Rich and successful people inspire others to grow and achieve more. We love hearing rags-to-riches stories like those of Oprah or Howard Schultz, because they show us we can create our own future. How would it feel to be such a powerful source of inspiration for others? Would you enjoy giving them the courage and motivation to improve their lives and the world around them? In my personal experience, it feels amazing! It’s one of my favorite things about being rich and successful, and it’s why I continue to teach, write, and share these ideas. I don’t have to. I LOVE to! If you’re getting excited about the wonderful benefits of being rich (besides having money for yourself) I have a special event coming up that might be perfect for you. 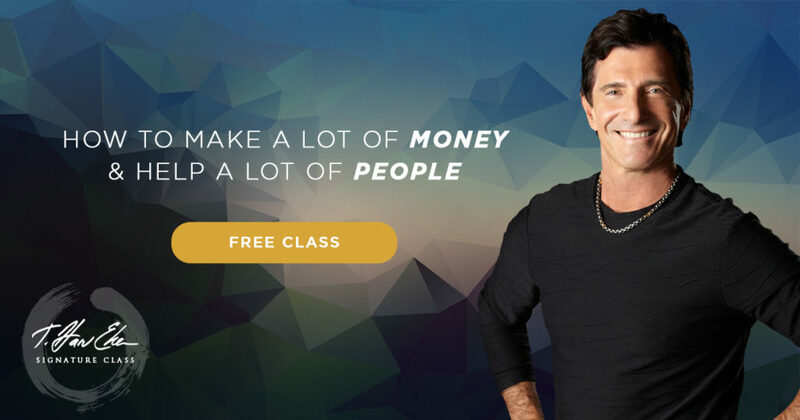 Because, while we’re talking about how much you can help people once you’ve made a lot of money, the best way to make the money in the first place is… surprise! By helping people! 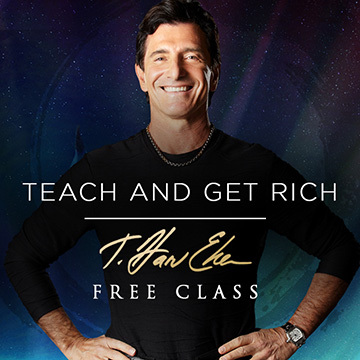 I’m going to share the 8 specific steps I used to get rich by helping a lot of people, and I’ll clue you into success secrets it took me 27 years to learn! I’ll show you it’s not only possible but probable, for you to get rich, too—if you apply everything I teach you. Now, in this article, we’ve covered many ways the wealthy can help others. And remember, choosing what to do with your money is your decision. It’s all about free will. You’re the only one who gets to decide what you want and what’s right for you. All you have to do to register is click here and select a date and time that works best for you. The fact is, if you want to help people in a big way, you must improve your finances, so you’ll have the resources to do it. You’ll have all your own material needs met, and you’ll have plenty to give as you see fit. And that, my friend, makes for a fulfilling life! I m a stong supporter of giving back. One company, Third Eye, recycles and makes bracelets giving water where needed. It’s the reason I tried Paul Newman s sauce and still buy today. My heart bleeds for the homeless. This was such an amazing blog. Thankyou!! I plan to make a difference one day myself! I’m signed up. Much gratitude to you for all the learning. Namaste. P.S. even my chewing gum, Project 7, gives back. How fantastic!! Hey Harv, way to go! this is exactly what I was talking about in my recent email to you guys! Way to go, to speak to the fact that some rich people are greedy, selfish ingrates even tho they have become rich, And they way they have become rich is by deceit, etc. etc. And that what YOU are teaching is the ethical way to become rich and for all the wonderful reasons you speak of, to do service in the world and “help a lot of people!” Plus it never hurts us to be rich! Being poor does NOT serve me or anyone. What a lovely simple way to put it! So I’m in for this upcoming web class! My name is Terri Wheeler. My husband Stephen is 61 & has recently fell into so many horrible illnesses, some terminal. His quality of life is almost gone. He has to wear adult undergarments for being unable to control urinating, severe back spasms, convulsions, migraines & possible blader cancer, weak legs & falls. I take care of him and cant work. Please bless us. (757) 376~9355, cell, but live in Florida.. please call Rosie, we will lose our home and car by 1st week in March 2018. On my knees praying, please. Das vergessen viele, die neidisch sind. Sie wollen immer die Reichten noch mehr besteuern. Es hilft keinem Schwachen, die Starken zu schwächen. My name is Micheal and I have donated so much to charities and thus. I once had enough money that I thought I would be good through out life with my wife. I gave so much away to family helping them with school living space and more. the donations I gave to so many organizations I thought would always help me when I went in front of God. Then I feel at work broke my back had back fusion but had to return to my hard working back braking job to get my 3 kids through college. I did that paid for there education and my 2 girls weddings. I had loaned so much money to family and everyone paid me back as they agreed. and thanked me. I am now into my second Brain tumor lost my hearing,, eye site in 1 eye have no balance and after the radiation I had 2 stokes. They family member I helped when the market feel and they had 4 boys and needed it now he is making over $300,000 again and will not return the loan how sad is that. I have to pay over $1500 per month for my medications and when I asked for the loan back I got we will see. They have Millions in banks and investments and they can’t help me when I helped them. I am 59 and can’t walk well don’t drive much can’t enjoy life as others due and I have a sister in law I helped because I have a heart. Now I need it and she will not give me a dime back. does anyone have any recommendations. I am in dire need of making money somehow. Please reach out. I gave everything to everyone and now I find myself broke. One of the things that I definitely will do when I’m rich and successful is building an educational team to reconstruct our educational-school system. I’ve been in the educational field for around 18 years. I’ve seen the school gaps and limitations and the students’ problems that’s repeating in every class I met even in the classes of my time when I was at school and maybe before. I believe quality educational system will benefit not only students as by themselves but the whole community. Thank you for giving me a chance to Share my thoughts. Sharing your experiences, especially with the intention to helping others, can indeed be very exhilarating and fulfilling. All the negative beliefs I had about money and the use of money have all withered away. Thank you..
Each individual comes with unique qualities for the development of his/her environment. But the qualities are often not sufficiently developed.. In fact, our lives and the potentials that come with them are ultimately lost at death. So, one can not but borrow a leaf from you and your wonderful team and rev up all the latent faculties, achieve more and become a blessing to humanity, especially to those around us. I have asked myself the purpose of my life. I have found the answer too, after a serious soul-searching. Now. I am continually applying myself to only issues and activities that can uplift and ennoble my environment. Perfect explanation – couldn’t have said it better myself even when trying to promote the: Social-investing plan for the future, which basically goes to answer the social problems outlined in the video. If anyone with money to burn is interested to make a difference, then you’re welcome to get in touch with me. My name is Sandra.31 I will be thirty years old in December. I was a happy and happy person who enjoyed life and my family. I am a young mother who gave birth to her first child at seventeen. It did not prevent me from completing my school and entering university. When I got to know that I was pregnant with my daughter I was even happier and more full of strength, but then it became more complicated. There was not yet another year when I began to suffer great pain throughout my whole body. My body was overwhelming and tumultuous. I could not even walk and sleep on the bed for several days when the body was hurt. I could not take care of my little daughter and my son was desperate for me. I went to a lot of doctors and I was looking for a disease problem. At the beginning of this year, in January 2018, I fell into a big depression. Two were psychiatrists and spihitarists. I could continue to fight. They wrote to me powerful antidepressants to feel better because my mind was apt. I was panicked out of the house, I wanted to be alone all the time, I do not sleep for days and nights crying and thinking that my life is over. Not so lost my children and my family, I decided to drink medicine. I could not diagnose diagnosis by sending me from one doctor to another, from one hospital to another. Numerous analyzes, surgery, X-rays, ultrasound scintigraphy, scintigraphy, biopsy of the skin were removed, but I could not find anything. More than three years have passed, but nothing is known. The bacteria said that it was a disease that I was not able to find and I had to live with it. I spent a lot of money, borrowed loans to get everything back. I am in a big financial crisis because I continue to look for good doctors who can help me. I do not want to give up because I have two wonderful children for which I want to live and take care of With the help of what I can provide, I can look for help outside the country. I ask you with all my heart. Please help me to be myself again and enjoy life. See how my children grow up. Take care of them. I want to be healthy and live further. , without stress, no pain, no medicine. Because of illness, I can not get back to work because the boss relieved me. I have left nothing. I do not know how to fight myself with myself, with illness and everything I have. If only someone could help me, I would be grateful to him for the rest of his life. I can prove everything that is needed. Write me an email at sauluks28@gmail.com and send me all the doctor’s copies and pictures with me. My biggest issue (besides fear) is that I can’t duplicate me. I am an elderly caregiver. I love what I do – I get clients through word of mouth. There is a big need for elder care, but you have to have the heart for it. I’ve thought about starting a home care business, but my biggest issue is finding people with the heart I have. This is not a business where showing up is an option. I’ve had so many people in my life let me down that I am very distrustful of depending on others. Looking for a way out of this dilemma. I so enjoy helping people, but there are just so many hours in the day. I would love to help out mam…. Great practical advises! Food for thought and actions!!! I Am want to 16.000.00$ every month to make my family happy and I want to free from my debt like credit cards bill and debt from relatives and neighbors. I have three Diploma certificate. 1-Electric and electronic Diploma certificate. (2)-Information Technology Diploma certificate.3- Management program Diploma certificate. I would like to begin with a profitable business plan soon. I like to help people. I believe all The people are brothers and sisters in Christ. We always help each other. I have a very good large family and they’re thirteen (13)boys, two(2) daughters, and their mother. I always care for people. May God continue to bless you,Amen!